Deliver a fine mist of liquid formulas with this 6 fl oz assembled pink aluminum bottle with black sprayer and clear overcap. Measurements: 180 ml, 6 oz. 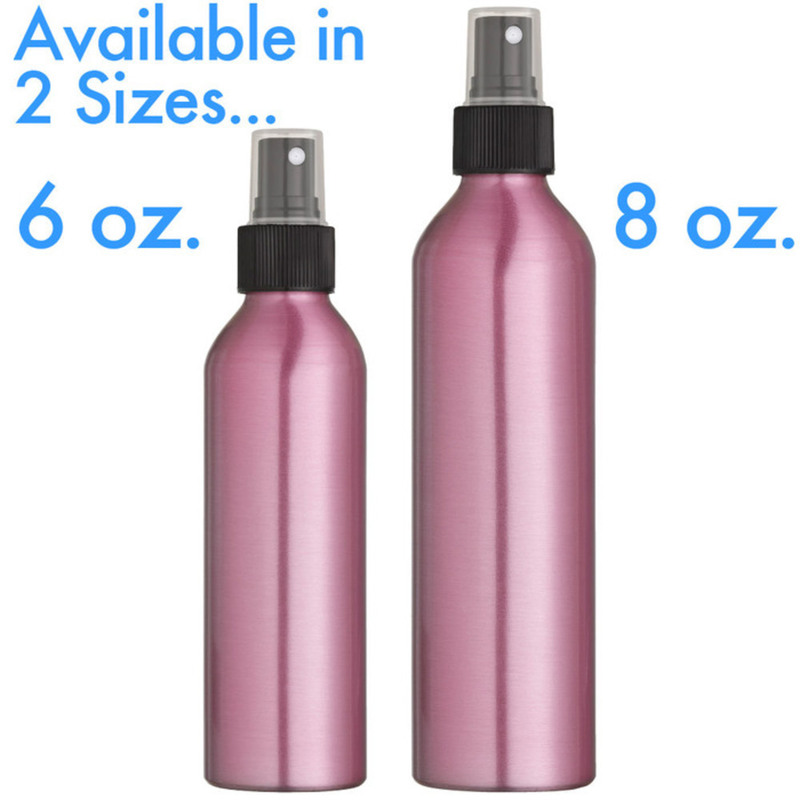 Available in 2 Sizes: 6 oz. and 8 oz.